Known for his rich and vibrant tone, Ervin Luka Sešek brings passion, energy, and a great sense of communication to his audience. Originally from Belgrade, Serbia, and raised in Slovenia, Ervin Luka has won top prizes in international competitions including the Republic of Slovenia Competition for Young Musicians and the Petar Konjović Competition in Serbia. A sought-after chamber musician, Ervin Luka has collaborated with former members of Tokyo and Ehnes string quartets. He has appeared at the Colburn Chamber Music Society and the Methow Valley Chamber Music Festival, among others. He has taught and performed at the Burgos International Music Festival and Sewanee Summer Music Festival. He has been a soloist with orchestras in Europe. Ervin Luka has collaborated with many living composers. In 2010, Dragana Jovanović wrote “Luka Balkantino” as an homage to him, and in 2016, Victor Frost dedicated one of his “Six Cameos” to him. In 2014, when floods devastated much of Serbia, Ervin Luka organized a volunteer effort, asking fellow musicians to join him to play in the streets of Belgrade. In one week, they raised more than 10,000 euros, helping families with clean water, food, clothing, and rebuilding. 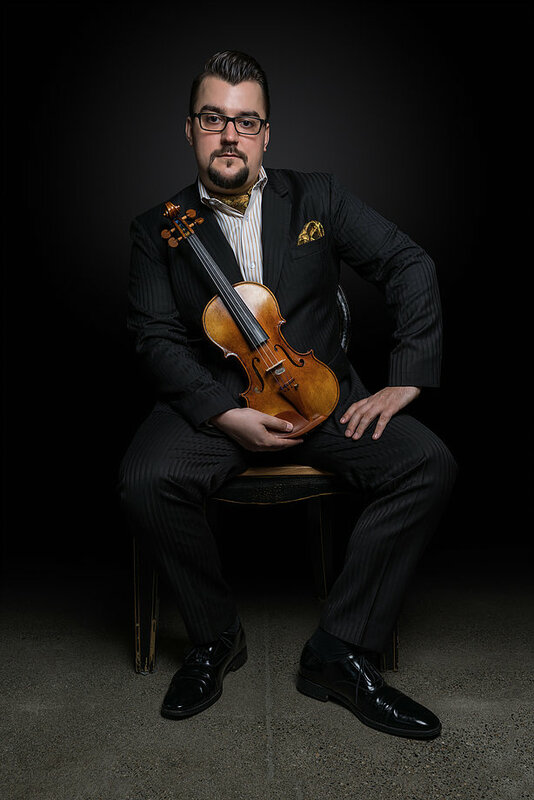 Ervin Luka began his violin studies with his mother and father. Before moving to America, he studied at conservatories in Serbia and Slovenia. He holds a professional studies certificate from the prestigious Colburn Conservatory in Los Angeles.